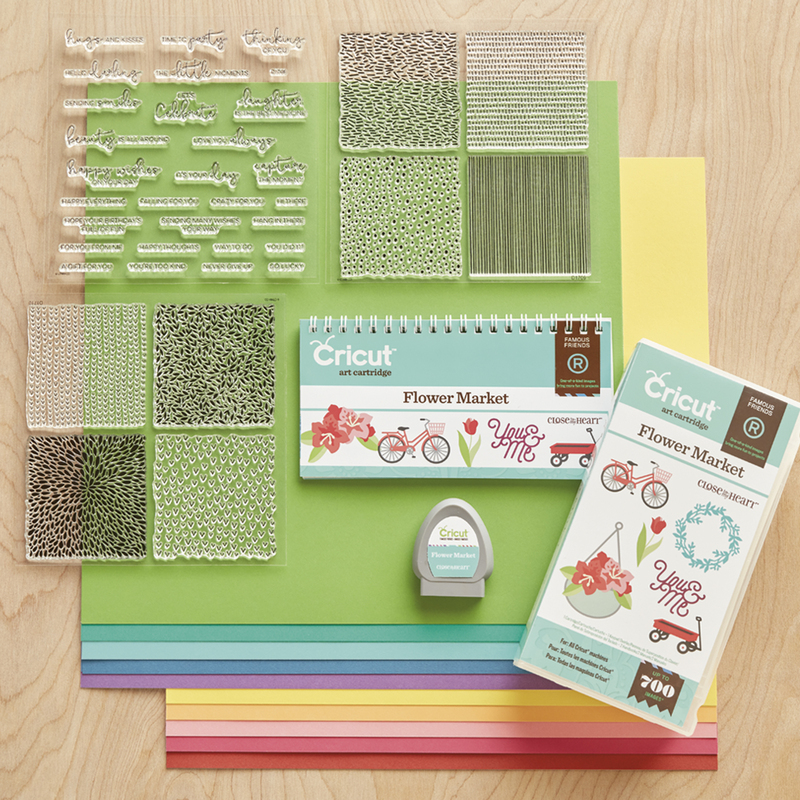 If you hopped through the Joyful Stars blog hop last week you probably saw the Amazing Andrea Sherman’s scrapbook crop products if not you can find it here she totally inspired me and I dug through my stash and found what was left of the Flirty Paper Packet from a few years ago. 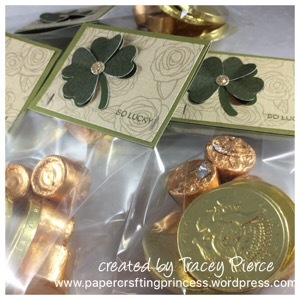 I knew I wanted to make some fun gifts for St Patrick’s Day – I’d seen some cute Gold Coin Chocolates at the grocery store a few weeks ago and combined with some “golden” Rolo’s! My tag topper has a base of Fern Cardstock layered with some Flirty B&T. I then cut the Clover from Key 43 of the Flower Market Cricut Cartridge in a base of New England Ivy and then the petals in the New England Ivy B&T. The centers are retired Gold Complements. The So Lucky sentiment is from the Flower Market coordinating stamp set…I use it ALL the time. The topper was then attached to the bag using our mini stapler. It’s always fun to prepare something fun for the holidays. Thanks for stopping by…take a minute and let me know if you make cards for St Patrick’s Day. Love these…very pretty and nice gift bag with chocolates…yum. Thanks Sue…I’m hoping my customers like them too!